Horsecross’s future as operators of Perth Concert Hall and Perth Theatre will come into question next week after council officers outlined “significant concerns” about the charity’s financial management. 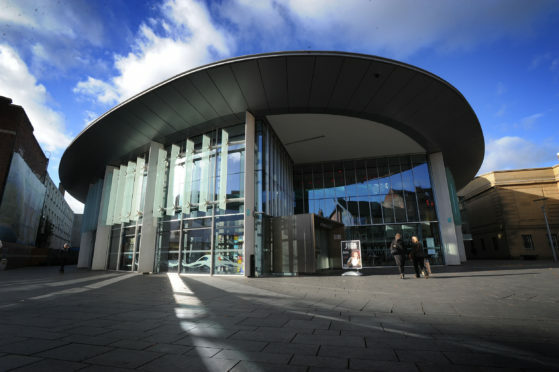 Bosses will be in the hot seat at Wednesday’s strategic policy and resource committee meeting when councillors look to review the local authority’s commitment to the performing arts body. Horsecross has been warned there is an “immediate requirement to make change and improvement”, whatever councillors decide next week. A new report reveals extra pressure for change, after the Scottish Government confirmed the new look City Hall – due to open in 2023 – will not be eligible for rates relief at an estimated £200,000 a year. Concerns were initially raised over Horsecross’s financial sustainability in November 2018. Council officers have now concluded that improvements in governance, organisational culture and business systems are “urgently needed”. The warning comes despite an increase in the number of performances in the two venues, resulting in 25% more tickets sold and 20% more customers through the doors in the last financial year. The review carried out by Perth and Kinross Council makes it clear that maintaining the status quo is not a sustainable long-term option. Councillors will be told that if they agree to allow the Horsecross board to continue at the helm for now, they will have to look again at the issues within the next two to three years. A number of options for reducing the financial risks are outlined in the report, including revising its pricing policy and new IT systems. Perth and Kinross Council has said it will be working directly with Horsecross throughout 2019 to implement the changes needed to safeguard the performing arts service in Perth. However, councillors could vote for one of five alternative options including having a fully independent single cultural trust or a hybrid model with in-house council delivery. Mike Griffiths, interim chief executive for Horsecross Arts, said: “Horsecross Arts looks forward to working with the Council to address the challenges of running the award-winning Perth Concert Hall and Perth Theatre against a testing financial background. “The board and interim chief executive have already introduced a range of savings aimed at securing the long-term future of the organisation. “While these inevitably will have some impact on the programmes of both the Concert Hall and the Theatre, we are confident that they will continue to be at the forefront of the cultural offer in Perth and Kinross. The questions over the charity’s future are contained in a wider review of culture delivery for Perth and Kinross. The report also highlights a need to review the number of library buildings across the county and confirms Tay Cities Deal funding has been agreed for the new Perth City Hall.